Open Call for November 2019. 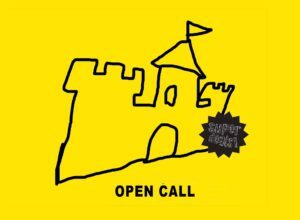 SUPERDEALS is hosting an open call for artists to participate in the Residency Program for November 2019. The residency runs for a period of 1 month, with at least one public moment/viewing during the time of the residency. SUPERDEALS is located in Sint Gilles, the artistic heart of Brussels and offers work/exhibiting space, and housing, in a vibrant area of town. Successful applicants will receive €500 for travel and materials expenses. The successful applicate must be aware that SUPERDEALS is an association of artists attempting to provide opportunities for peers, with a D.I.Y approach. The residency offers an opportunity to artistically explore the city and its art scene while having an open platform to experiment and develop one’s practice. Deadline is June 1 and the announcement for the November residency will be in the beginning of July 2019. BE37363113731328, BIC (ING Belgium): BBRUBEBB of SUPERDEALS asbl, Chaussee de Waterloo 4, 1060 Brussels, with your name and the description ‘OPEN CALL’.